I didn’t know that oakley came out with polarized fishing sunglasses! This is awesome and perfect timing for my fishing trip coming up. Although it’s going to be cold, the sun will definitely be bright and hard on my eyes. Will definitely be checking this out and picking up a pair or 2! I didn’t know this kind of technology was used for fishing. Last year, I dragged my Dad to an outdoors shop so I could look for a small fishing rod for myself. He started complaining about his back hurting and some other excuses for us to leave, but I realized in the little time I spent in the store that fishing as a lot of components. I am a complete novice at this subject and I want to learn more. 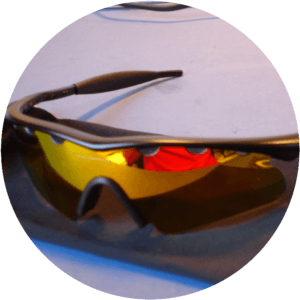 Thank you for your review of Oakley Polarized Fishing Sunglasses. It is not a good experience when you’re fishing and the sun gets in your way. We have our usual sunglasses when we went fishing. I like the Oakley Prizm deep water and shallow water filters technology. These are what we need to see what is swimming under the water. We’ll consider getting one of these glasses for our next fishing trip.